Ladue, situated a little more than 10 miles to the west of St. Louis, has an area of 8.5 miles. The city’s population at the time of the 2013 census was 8,560. According to Wikipedia, Ladue holds the title of the highest median household income of any Missouri city with a population over 1,000 people. With its proximity to St. Louis, it provides a great opportunity for any student driver to zip on down on Interstate 40/64 to St. Louis to learn to drive in a big-city environment. The city is bordered by Brentwood, Clayton, Creve Coeur, Frontenac, Huntleigh, Olivette and Rock Hill. Highway 40/64 runs through the city, 170 cuts into the northeast corner, Lindbergh Boulevard borders it on the west, Manchester Road runs to the south of Ladue and Olive Boulevard is just to the north of the city. Ladue has several public schools and two private schools, John Burroughs School and Mary Institute and St. Louis Country Day School (MICDS), both high schools. The headquarters of the St. Louis County Library also is in Ladue. According to career website Zippia.com, Ladue is the most successful city in Missouri and the third-most successful city in the country. This ranking is based on the following three criteria: median income, unemployment rate and education rate. Ladue’s numbers are $186,371 for a median income, a 2% unemployment rate and an education rate of 82.8. The home ownership rate also is high, at 91.6%, according to Wikipedia. Before you can learn to drive from one of our instructors, who will pick you up and drop you off at your house, you will need to obtain a learner’s permit from the Missouri DMV. You can find all the information about getting one by visiting the Missouri DMV learner’s permit website. The closest DMV office to Ladue to take a learner’s permit test is roughly 6 miles away in the Deer Creek Shopping Center, off Laclede Station Road. 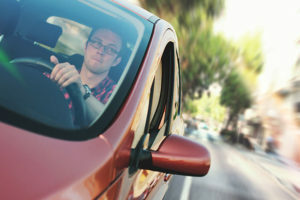 Once you have your learner’s permit in hand, give us a to scheduled your driver’s ed class in Ladue!